Run a retreat with your own group, immersed in nature. Shama Retreats creates inspiring experiences to reconnect with inner calmness and to favor well-being through yoga and meditation retreats. After more than 15 years of taking part in and coordinating retreats, we are aware of the keys to providing unique getaways of health, nature and yoga that allow you to regenerate completely in a few days, improve your practice, and discover yourself and the world. Yoga opens a door to transformation. When we distance ourselves from the routine, we abandon old patterns and habits for a few days, take care of ourselves and experience what deep rest is, we can see ourselves with a new perspective, incorporate small changes and begin to build the life we would like to live. If you are a yoga teacher you can use our experience and local knowledge to carry out your own retreat or TTC in our collaborating retreat centers. Your group will be taken care of and you will be able to dedicate all your time to share and transmit your knowledge with total tranquility. If you want to improve your practice in nature, relate with inspiring teachers and international students, disconnect from stress and discover unique destinations: Join one of our retreats! 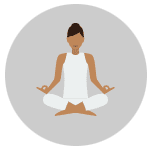 If you are interested in a continuous yoga education for specializing your classes or going deeper in your own practice, take part in our yoga workshops. Where would you like to practice yoga? Do you want to receive information about our offers? I participated in a retreat coordinated by Shama Retreats staff in 2016. From the very start they were extremely helpful, assisting me with all my travel plans. Their enthusiasm and engagement once at the retreat created such a joyful atmosphere that it kept all of the participants in a positive, happy mood. They were so attentive to every detail, which I found enormously refreshing. Connecting with each and everyone of us, it seemed they sought to find a balance between our practice and excursions away from the retreat center. Those efforts proved very fruitful because it enabled us to experience the region. These excursions we embarked on were well planned, and thought out, accommodating the variety of people within the group. They also made certain that while on these excursions, we would have delicious picnic lunches to sustain us throughout the day! Every event went off without a hitch, and our questions were met by them from a place of joy. What a wonderful experience it was with Shama Retreats at the helm. I will say that for days, even weeks after the retreat I sorely missed the coordinator infectious smile, and captivating spirit! I do look forward to the next they organize, where they will undoubtedly work their magic to create another unforgettable experience! I have attended two week-long meditation retreats organized by the Shama Retreats staff. As an organizer myself, I appreciate the challenges involved in this job. To be a good event planner one needs to be both detail oriented and have the capacity to keep the larger picture in mind. They have this unusual ability to do both and this is unusual. I have also appreciated that they maintains a very positive and vibrant attitude throughout. They do not let the inevitable challenges an organizer faces affect how they interact with participants in any way. This helps people feel comfortable approaching them with any issues they may have. In sum, they makes event organizing look easy and fun. And I have much to learn from them! Rebecca Lovejoy. Psychologist.New Hampshire. USA. The retreat center in Lanzarote is a magical place. The setting is tranquil and the atmosphere warm and welcoming. The delicious vegetarian food was plentiful and nourishing. The retreat was expertly organized by the Shama Retreats staff. The outdoor adventures were breathtaking. They provided wonderful opportunities to explore nearby volcanoes and some of the most beautiful beaches I have ever seen. From arrival to departure they could not have been more helpful. Their sensitivity and kindness helped create an oasis of calm in which I relaxed deeply. I look forward to returning. Adele Doogan. Clinical Nurse Manager.Dublin, Ireland. The retreat location and food were perfect. The excursions to beautiful places were above expectation. I didn´t know that you could find so amazing places in the South of Spain! The personnel’s attention to detail superb. Above all are their warm and thoughtful approach. I felt well cared for and was thoroughly nourished by the retreat. Nancy Gabriel. Social Change Consultant.White River Junction, Vermont. USA. The beauty of Shama Retreats’ work is that spontaneity and organization coexist. Even unexpected events can be a source of joy and trust. This is thanks to the vibration of love the staffs of Shama Retreats put into the organization. Even without being aware, we are very well taken care of during our retreat and later we realize they have been very attentive to make sure we can live the present moment. What they do is not only an organization but also a healing thanks to who they really are.